For a commercial driver, a DUI conviction can mean the loss of his or her livelihood. Even after the end of your commercial driver’s license suspension period, you may not be able to afford the cost of high-risk (SR-22) insurance. Many commercial trucking companies drop drivers after they receive a drunk driving conviction. I’m Schöen Parnell, a DUI lawyer with offices in Lynnwood and Kirkland. I have extensive experience in defending truckers and commercial drivers who have been charged with drunk driving in Washington state. 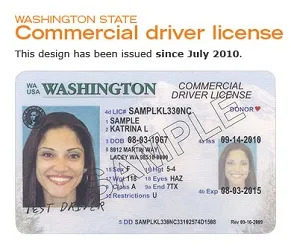 If you have commercial driver’s license, you face CDL disqualification under Washington’s Uniform Commercial Driver’s License Act, even if you were not driving a commercial vehicle at the time of your arrest. The Department of Licensing can even attempt to disqualify your Washington CDL even when criminal DUI charges are resolved without a conviction. Only an experienced defense lawyer can help you protect your CDL if you face DUI charges. Nobody budgets for the cost of a drunk driving arrest. When so much is at stake, you need an experienced lawyer who is willing and able to try your case if the state does not provide you an acceptable plea agreement. Why Consult a DUI Defense Lawyer?